FSB Türdrücker mit matten Oberflächen | InteriorPark. 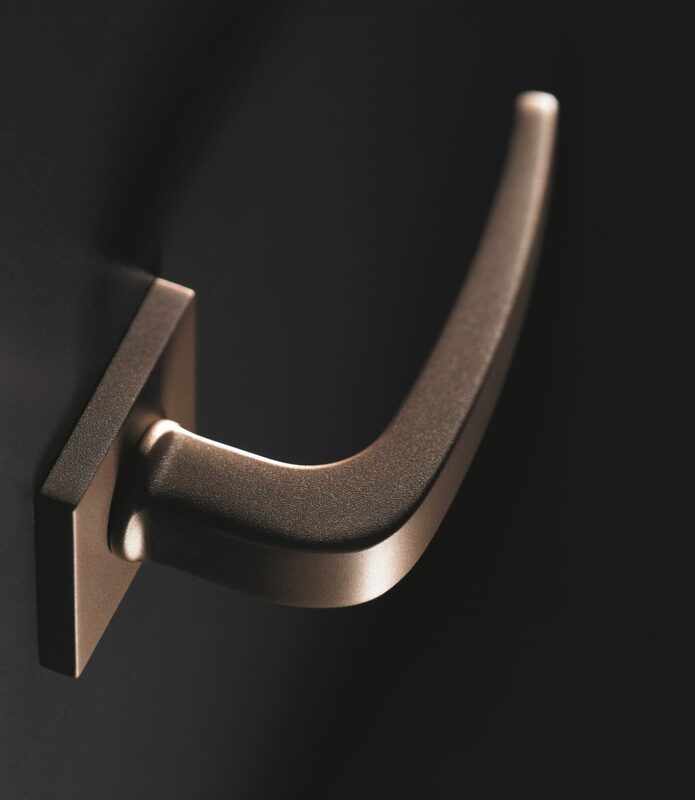 The new surfaces allow the use of doorhandles in a new, timeless look. Beginning of the 1990’s FSB already has changed their production towards environmental-friendly processes with continuous developments. Despite using unavoidable aluminium the result is a sustainable product of highest quality that meets our criteria and high approach. FSB opens up new design options with matt-velvet aluminium finishes in 5 anodised colours. Not just beautiful “on the surface”. What makes “Blasted Aluminium Colour Anodised” so appealing is its uncommon sheen and how pleasant it is to touch. FSB is revitalising “its” aluminium material with the aid of anodised colours based on refined matt-velvet aluminium finishes whose inimitable sheen and pleasant haptic quality lend them an allure of a kind never before seen. A conscious attempt to relate to the actual metal is made – “ colour” in the sense of “colourful” is out. This is regardless of whether the host surface is highlighted by means of a metallic colour/finish or whether it is to play a more downbeat role – notably in the case of anodised or powder-coated window and facade profiles – as part of a scheme of coordinated shades. 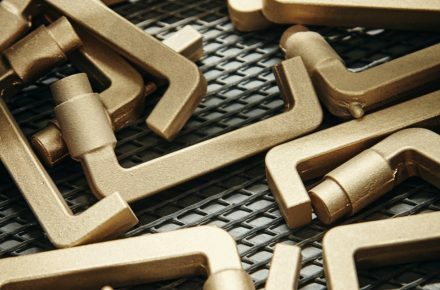 FSB has enhanced its processing of aluminium by adopting a mix of manual and industrial methods that allows each of its many door handle designs to be “worked” out of the material to optimum effect. 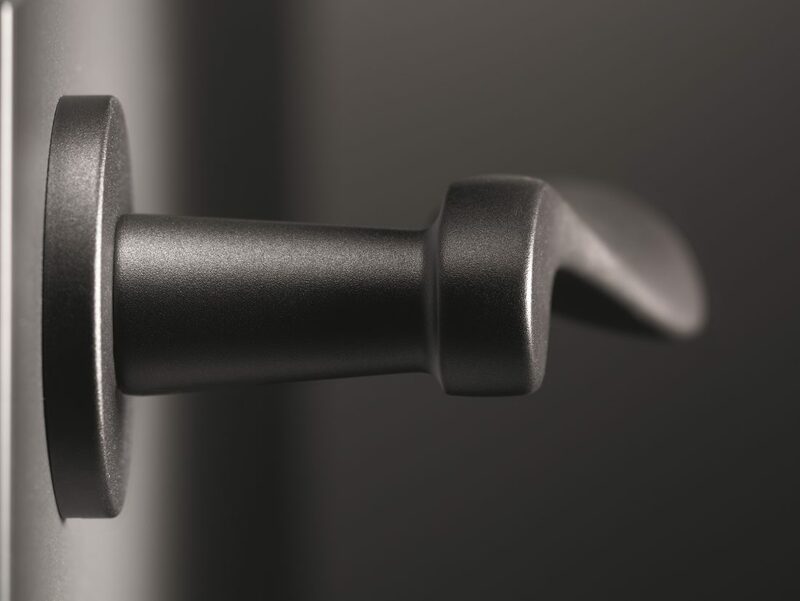 To a degree, then, each of our handles in aluminium is not only “Made in Germany” but is done so by hand. 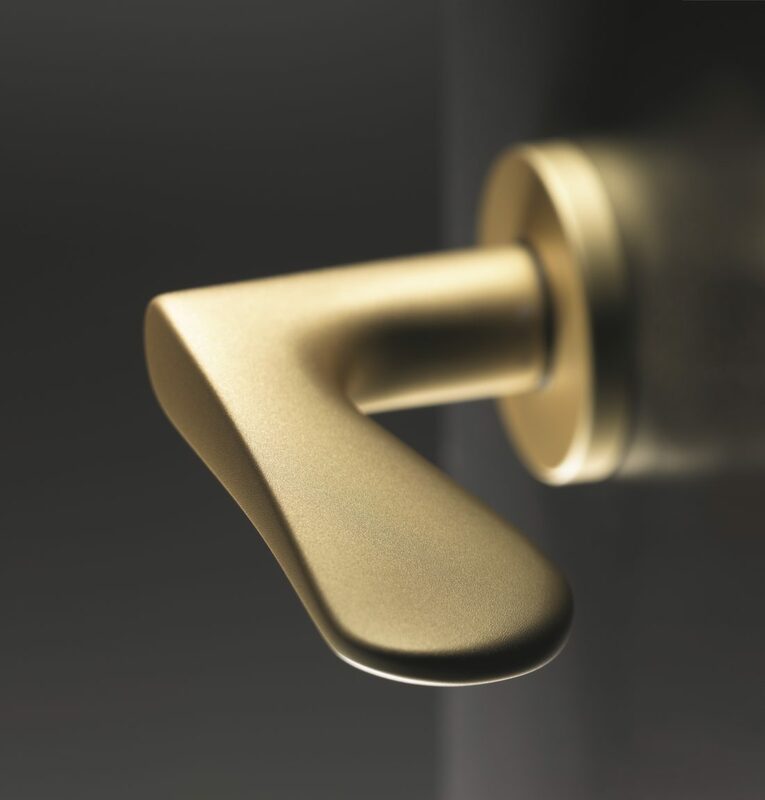 Every handle a one-off FSB has a tradition of working and shaping aluminium that stretches back almost a century and is at the very heart of the company’s approach to materials. The treasure store of experience amassed in the process ensures unsurpassed quality from the initial melt to the final product. Door handles in Aluminium are cast by hand. The lightweight metal is scooped out at a temperature of 660 degrees Centigrade and formed into the required shape by a process known as gravity die casting: the aluminium fills the shaped cavity with the aid of nothing but the force of gravity. There is a dedicated tool for every single door handle model made in aluminium. Some 600 dies for the various handle models indicate just how uniquely versatile the FSB product range is. Door-handle blanks are treated for several hours in a vibratory tumbler. This is where they attain the consummate quality so typical of FSB: their radii and edges are painstakingly gone over with a small ceramic sphere. From the second half of the 20th century, aluminium began its triumphal march into the domains of interior design and design in general. Its technological mystique and pleasant haptic properties opened up new horizons in the use of metal, notably in interior design. This went hand in hand with a growing predilection for colour finishes in dark bronze and brass. 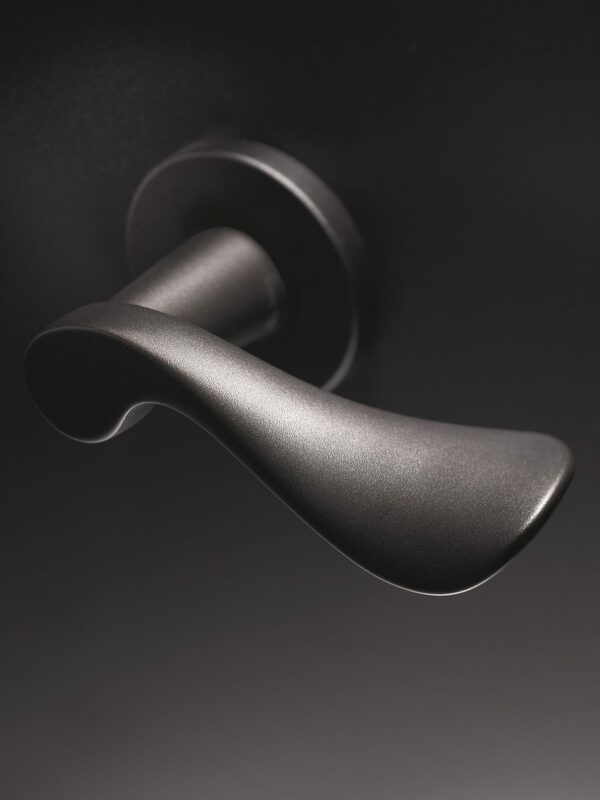 FSB has enhanced its processing of aluminium by adopting a mix of manual and industrial methods that allows each of its many door handle designs to be worked out of the material to optimum effect – regardless of whether a geometrical classic or a moulded-to-the-hand design by Johannes Potente is involved. 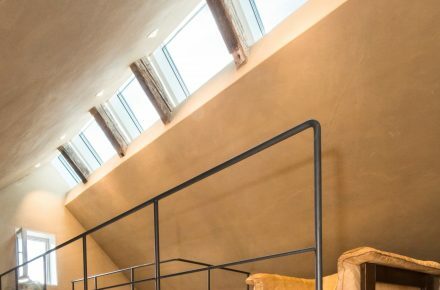 Far from confining itself to the real metals referred to and their varying degrees of patination, FSB has also borne the commonly marketed facade profile finishes C33 and C35 (EURAS) in mind. In technical and functional terms, shot-blasting an aluminium surface causes it to be compacted much in the same way as occurs during forging, as a result of which shotblasted anodised aluminium finishes are somewhat more resilient to knocks and scratches than traditionally worked and anodised aluminium.